The WiFi-enabled wheelchair is unique because it incorporates low-cost visual sensors instead of expensive laser scanners, making it a much more feasible, near-term solution than similar proposed designs. It operates on the same principles as a self-driving car: an onboard computer provides a geometric map of a user’s surroundings and then the user issues simple commands to travel from point A to point B. The powerchair relies on computer vision technology to avoid obstacles, travel through doorways, and manoeuvre into safe positions. It is currently controlled via a tablet or smartphone. 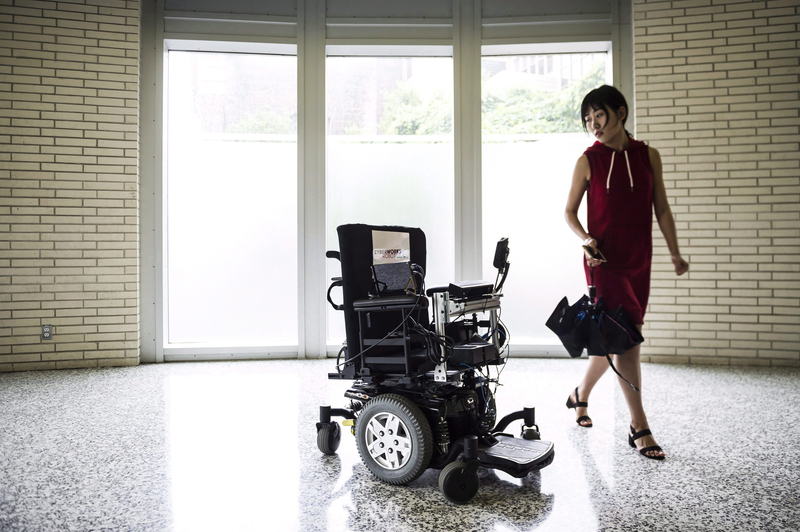 During her time in Canada, Xinyi is working to determine the best way for users with severe upper-body mobility limitations to command the chair simply and efficiently, using existing sip-and-puff switches or eye gaze technology. For Xinyi, the experience of coming to Canada is an opportunity to explore a new academic atmosphere and gain the skills she will need to apply for either a master’s or PhD in the future. “I haven’t decided about a specific career path yet, so my main goal is to perform my best and finish my internship with a scholarship to further my studies,” says Xinyi. Mitacs thanks the Government of Canada and the Government of Ontario for their support of the Globalink research internship in this story. Across Canada, the Globalink research internship program also receives support from Alberta Innovates, the Government of British Columbia, the Government of New Brunswick, the Government of Newfoundland and Labrador, the Government of Nova Scotia, , the Government of Prince Edward Island, the Government of Quebec, the Government of Saskatchewan and Research Manitoba.